Soon, however, Josephine gets wrapped up in another sort of drama. The lead actress has been sleeping with Britain's most venerable newsman, Anthony Beresford-and his humiliated wife happens to work in the building. The sordid affair seems to reach its bloody climax when Beresford is shot to death in his broadcasting booth at the deafening height of the coronation ceremony. Josephine's dear friend Detective Chief Inspector Archie Penrose has the case wrapped up before long. But when a second, seemingly related murder throws Penrose for a loop, it falls to Josephine to unravel a web of betrayal, jealousy, and long-held secrets ... caught all the while in a love triangle of her own making. 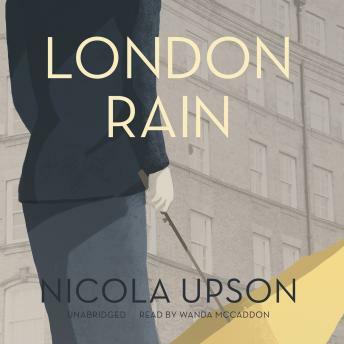 Charming and provocative, thick with the atmosphere of prewar England, London Rain is a captivating portrait of a city on the edge-and an unforgettable woman always one step ahead of her time.